Microbrewery for Sale in North Metro Denver for Sale - Priced to Sell Fast! 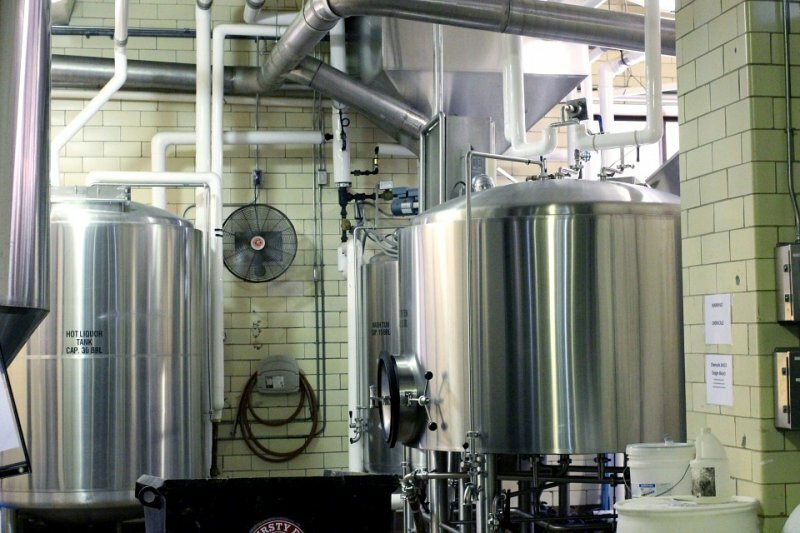 Microbrewery for Sale North Metro Denver - Priced to Sell Fast! Don't miss this opportunity to buy a Colorado microbrewery for sale for about one third of what it would cost you to start one up yourself! It is priced substantially below what the seller has invested, is turn-key, and ready for a new owner to take it to the next level. Located in a strip center that is currently under expansion, this Colorado microbrewery for sale features great visibility, signage, access, and parking. There is an outdoor patio that seats 12 which could be expanded, and 2 large garage doors that open into both the bar and brewing facility. The dining room is well lit with high ceilings and seats 50, plus another 12 at a long beautiful bar, with multiple flat screen TVs and a POS system. There is a large stage for live music, and the sound and light systems are included. There is also a separate room for meetings and banquets at this microbrewery for sale that is a total of 5,352 square feet. The building has an extensive camera system also. The seller will stay on as the new owner's landlord and will negotiate a brand-new lease that works for both parties or negotiate a second deal to purchase the building. This Colorado microbrewery for sale, offered by We Sell Restaurants, has been serving high quality, craft beers to raving fans since 2013. There are 24 taps, including 4 cask taps, to feature an incredible sampling of light and dark ales, stouts, IPAs and Double IPAs, Porters, Lagers, Bitters, Ryes, and even Oak Aged Stouts that come from a nearby distillery. All the wonderful types of craft beers that Colorado has come to love, are all located in this one place! There are two walk-in coolers, one for the brewing equipment and regular taps, and one to hold the cask beers at a different, correct temperature. All beer recipes are included in the sale and there is a Master Brewer that will stay on a permanent basis, if the new owners wish. The business has a Manufacture and Wholesale License that will transfer with the sale. They have several accounts for off-premises sales, both tap and carryout, that are included in the sales price. Brew house equipment includes a 7-barrel mash tun, 7-barrel hot liquor tun, 7-barrel brew kettle, a Bulldog, two Wort pumps, 5 fermentation tanks [3-7, 15 & 30 barrel], 7 brites [5-7 & 15 barrel], 5-ton chiller, 10 square meter plate wort chiller, and much more. This microbrewery for sale has a capacity of more than 1000 barrels per year. Everything you need to brew multiple, high quality, craft beers is included; as well as, 40 kegs are also part of the sale! On top of all that, there is most of a complete canning line for sale, at an additional cost. They currently contract the food part of their business out and offer a limited menu, five days a week. 1. Buying the business and negotiating a lease that works for all. 2. Buying the business AND the building. 3. Buying the Fixtures, furniture and equipment and removing it from the building. The current owners are anxious to sell and this microbrewery for sale will not be on the market long. Move fast and you can buy this business for less than half the price others in the area are listed at. This is an asset sale and no financials will be provided. Some Seller financing could be considered for a qualified buyer. All equipment is like new! Profitable microbrewery for sale in south metro Denver. Great location!